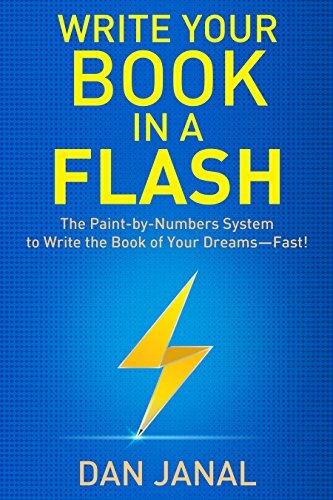 Dan Janal, Write Your Book in a Flash: The Paint-by-Numbers System to Write the Book of Your Dreams-Fast! (TCK Publishing, 2018), 180 pages. I was skeptical as I began flipping through this book. I was easy to skim and in 30 minutes, I had hit the highlights. Could it really help a writer accomplish a goal of publishing a book? I decided to read the book closer and to do the opening exercises with a book project I had considered several years ago. You may or may not know that I have had the experience of leading two different congregations as they left an older landlocked facility and built a new campus. Both experiences were a blessing as I saw people catch the vision and experience what can only be described as miracles. 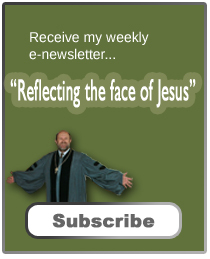 While I don’t want to do this again, at one point I had considered consulting other churches considering such a move. Write the Book in a Flash was what I needed to help focus my thoughts. The book is written primarily for people who are involved in consulting and contract work to build their legitimacy. While I am not sure I would enjoy such consulting today, a book about moving churches could be a gift to the larger church, helping others in their own building projects. I was amazed at how Janal’s methodology helped me frame my thoughts and ideas as I wrote my 400 word executive summary, a 50 word back cover summary, came up with a working title, profiled my ideal reader, and outlined the chapters. I feel confident that if I had a block of uninterrupted time, perhaps two weeks, I could complete this book and the final project would run between 125 and 150 pages. Write Your Book in a Flash is a workbook designed for the person interested in conveying their knowledge in a particular field. Write Your Book in a Flash is not going to help you write the great American novel. This isn’t about creative writing. It’s about technical writing that can help your reader and, if you so desire, help you reach more clients. The book assumes its audience can already write clearly (and the book doesn’t cover grammar and plot lines and other necessities). This is a book to help people in further their influence and build their “brand.” Janal practices what he preaches as this book is an extension of his efforts to work with potential experts in different fields develop their own books. At the end of the book are advertisements for his other endeavors. For full disclosure, I received a free copy of this book in exchange of an honest review. I thought about writing a book a few years ago. I actually wrote a 150 page novella 20 years ago and let it sit for a while. Then I went back and read it again and thought it just wasn’t very good. lol It was a fun thought but I think I’ll just keep to blogging. While not something for me, it sounds as if the book does serve its purpose. Sounds like a useful guide for those who do that type of writing. I’ve made note of this book, Sage. Down the road this might prove helpful to me. Not everything I’m writing is the Great Canadian Memoir! I was thinking of you during our blizzard while I was making baked beans. I added a tablespoon of turmeric to my recipe, and I liked the results. I’m working up the courage to buy one of those alien worm looking roots thanks to you. Turmeric is supposed to have good health benefits. Have a good one! Sounds like something that should be in the welcome pack of any student for writing thesis and mini thesis length essays.